Pink Off-The-Shoulder Dress – Hayley Over Heels. This post is currently being written by an extremely relaxed and care-free Hayley, who is free of school, and can now focus on the important things that come with summer, such as being tan and leaving my backpack to collect dust for four months. Ah summer break, how I adore you. My boyfriend and I decided to do some eating and wandering around Charleston yesterday, and this dress was perfect for it. The spunky hot pink color is so vibrant for these warmer months, and it would look great with a tan…which unfortunately I am lacking right now. It also comes in a light blue and white! 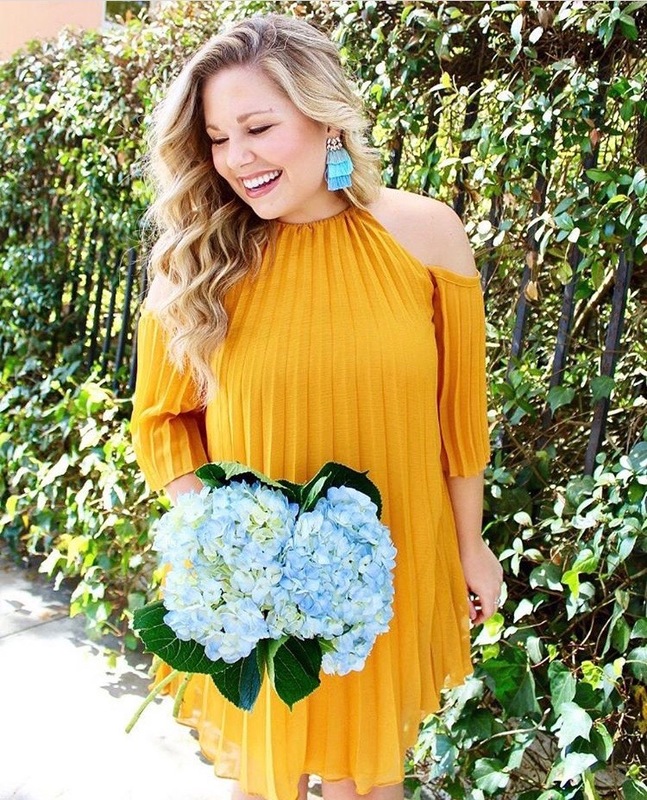 Yes, it’s off-the-shoulder, but I refuse to apologize for how much off-the-shoulder items I have! If something looks good on you, you should buy it in every color, right? (Or maybe I’m just giving myself the excuse to buy more clothes…) The wedges I’m wearing are by Marc Fisher, and they are my new favorite wedges. Also, they are currently 30% off, so click the link below if you want a good deal! The gold choker I’m wearing is one of my favorites. I love how delicate it is, so it’s not as harsh as your typical choker, and it goes with everything! If you are ever in the Charleston area, I highly suggest you eat at The Obstinate Daughter on Sullivan’s Island. My boyfriend and I ate there last night, and it was incredible! Great drinks, and amazing pizza and pasta. With all of these carbs, I’m going to be beach body-ready in no time! *gives an enthusiastic thumbs up, heavy with sarcasm* Happy start of summer break, everybody! There are many more looks to come, and I can’t wait to share them with you all!